"Ich habe jetzt ungelogen seit 1 Jahr jegliche Zeiterfassung Apps für mich als Service Techniker ausprobiert. iPunchclock is also location savvy, and along with the time and date, can store the longitude, latitude and altitude at which you start and stop on a particular task. 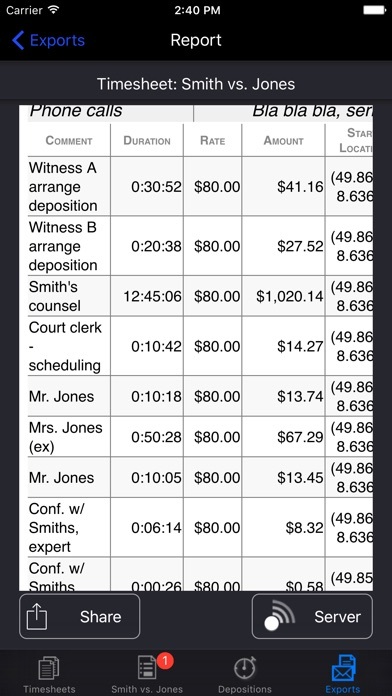 iPunchclock can help everyone, from lawyers and independent contractors to scientists and backcountry marathon runners, track their activities with ease and precision. iPunchclock manages multiple independent 'timesheets'. 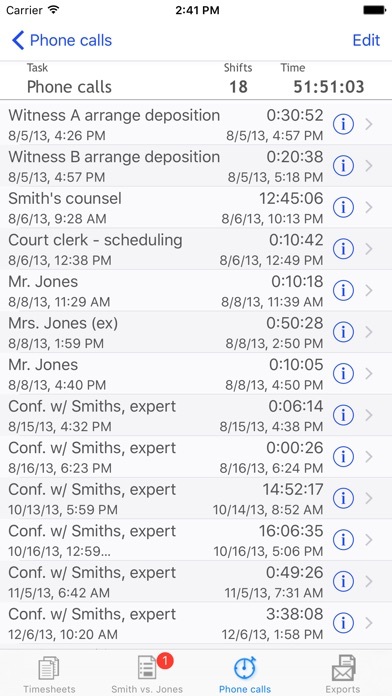 Each timesheet is made up of any number of tasks you care to add. Each task contains a list of 'shifts'. Whenever you start working on that task, just tap start, and iPunchclock opens a new shift, recording the exact time and place. 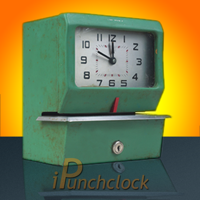 iPunchclock can hold as many simultaneously active tasks as you need, across any number of timesheets. 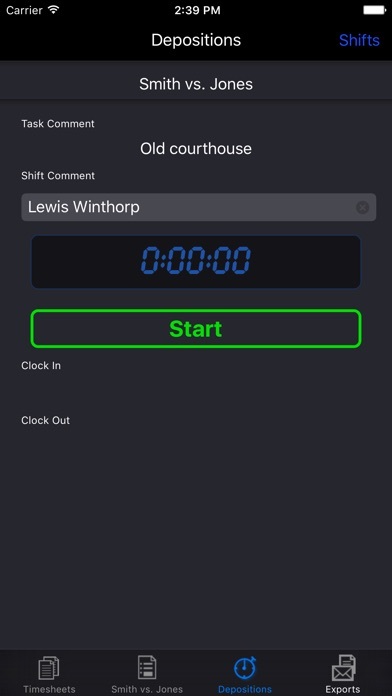 In addition to the task descriptions, each shift can carry its own comment. 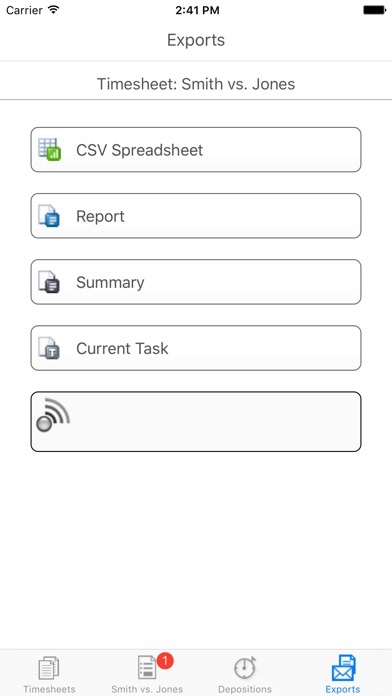 Once you have accumulated a mass of data defining your activities, you can export them via email or directly to a browser via WiFi or upload to Google* Drive. 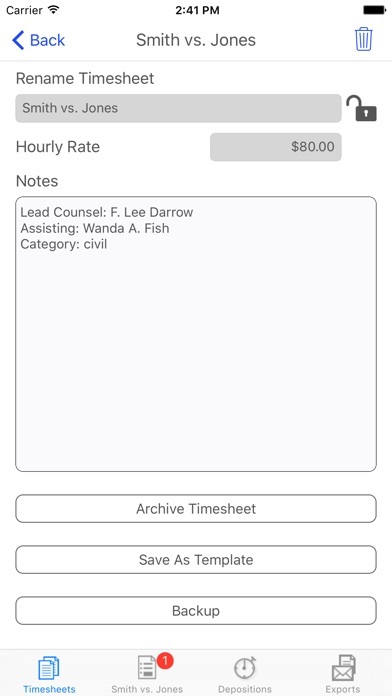 Timesheet Archive function automatically splits timesheet for reporting ongoing projects without double billing or losing a second. As always, free support is available on our user forum, or by emailing "epiphonecoders at mac dot com".